Globular Cluster in Hercules Constellation. Beautiful sketch with great attention to detail and very god sketching technique. 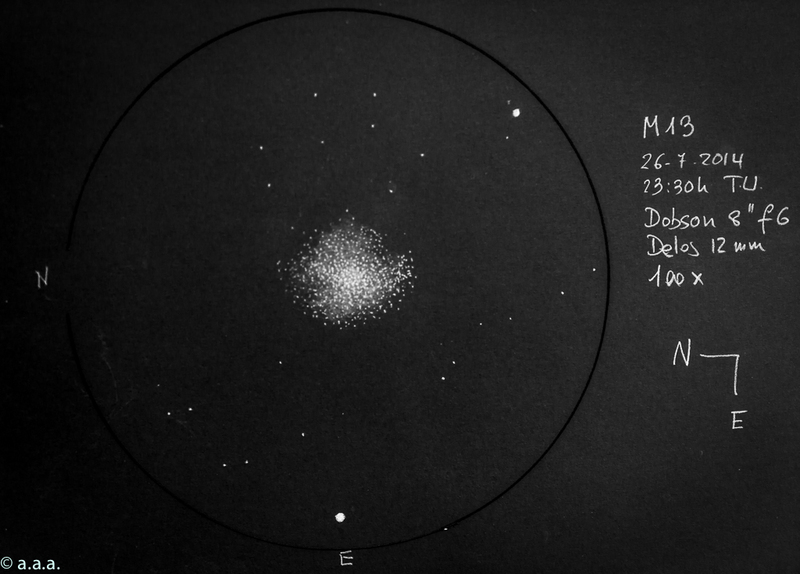 A fine sketch of M-13 and the notable foreground stars.